Available in 8, 15, 25 & 35 gms. Available in 8,15,25 & 35 gms. 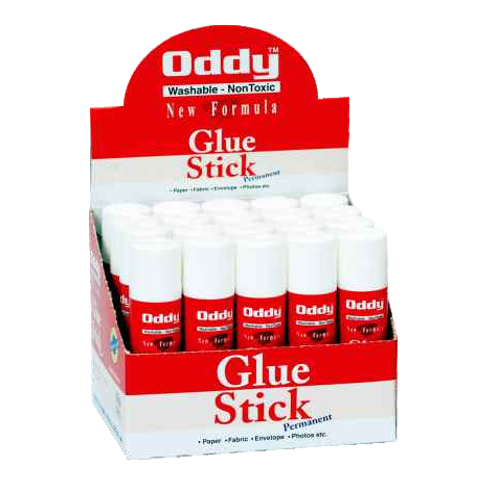 1 GS-05 Glue Stick 5 Grams 8906044236448 10.00 100 Pcs. 1000 Pcs. 2 GS-08 Glue Stick 8 Grams 8906044230415 23.00 30 Pcs. 720 Pcs. 3 GS-15 Glue Stick 15 Grams 8906044230439 33.00 20 Pcs. 480 Pcs. 4 GS-25 Glue Stick 25 Grams 8906044230453 50.00 12 Pcs. 288 Pcs. 5 GS-35 Glue Stick 35 Grams 8906044230477 63.00 12 Pcs. 288 Pcs.